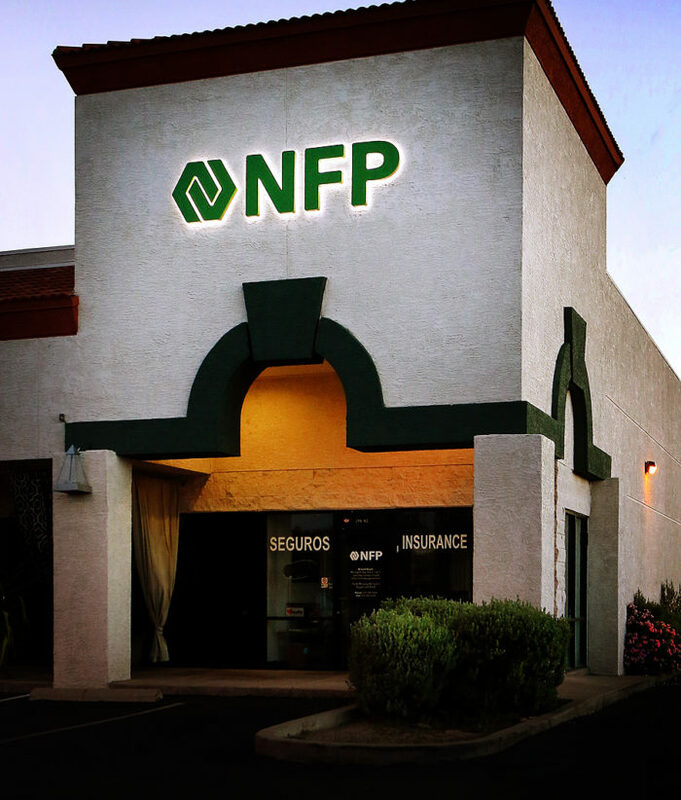 NFP is one of the largest insurance brokerage and consulting firms in the nation. 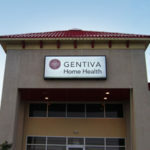 They offer commercial insurance, corporate benefits, and private client resources. 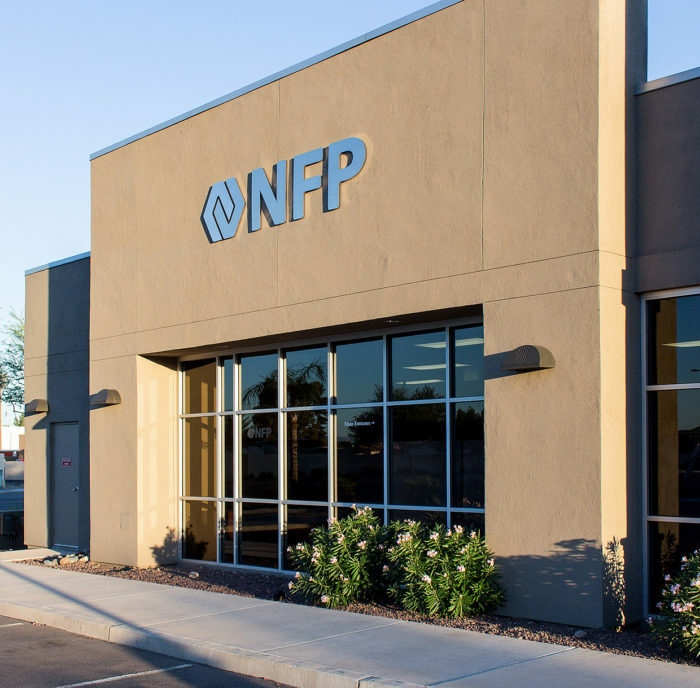 NFP came to Egan Sign during their RFP process because they were looking for a company who could quickly and cost effectively execute their corporate rebrand initiative. At the time, the company had over 200 independent insurance agents in locations across the United States. 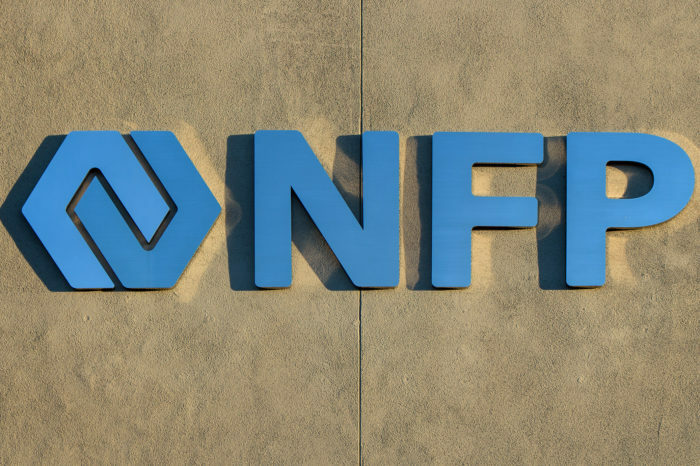 They wanted to bring them all together under one cohesive branded agency name, NFP. Each of the locations was very different in size and structure which meant they would need different types and sizes of signs. According to our client, Egan Sign had the strongest response to their RFP and presented the best plan of action for handling all components of the rebrand initiative. 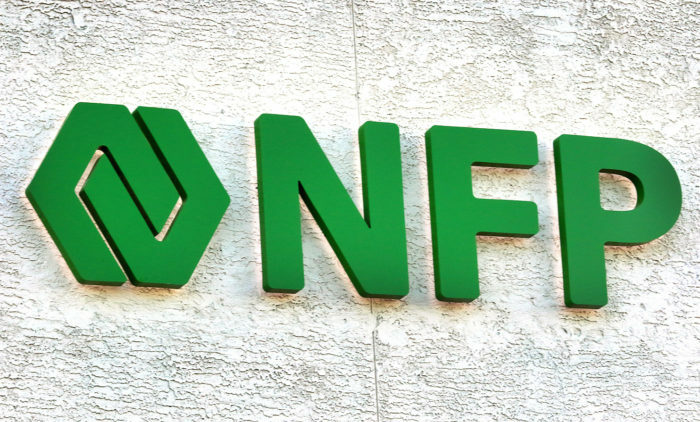 Egan Sign was selected to assist NFP with their corporate rebranding efforts. Based on the brand guidelines provided by their Marketing Department, Egan Sign developed a family of signage that guided a consistent visual appeal and appearance of their brand across rebranded locations nationwide. 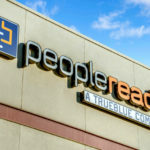 In turn, Egan Sign removed existing signage and replaced it with the newly branded versions. 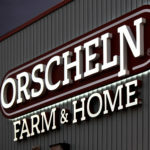 The types of signage utilized throughout the entire project were: frosted vinyl, digitally printed vinyl graphics, interior reception signs, pin mounted letters, acrylic signs, illuminated face replacements, ACM panels, stainless steel letters, and aluminum pan signs. Egan Sign has rebranded approximately half of their nationwide locations to date and will continue to brand new branches added through acquisition.